How legal departments are making the most of the resources available to them, especially in terms of keeping work in-house around matters related to contracts, M&A, intellectual property, and litigation. 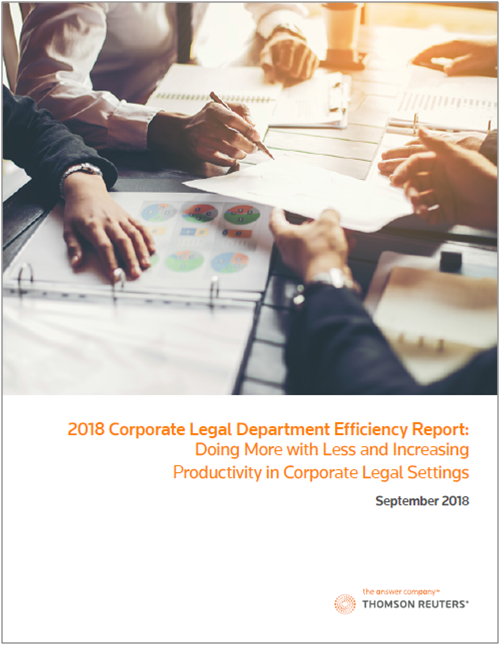 Measures in-house leaders are implementing to increase productivity – such as professionalizing the role of legal department operations managers and shifting work from lawyers to paralegals. How Corporate Counsel can confront the ups and downs of partnering with outside counsel.